The legal understanding and regulation of derivative works is a fascinating area of copyright, which can become even more appealing when discussion concerns Britain's best-loved nanny: Mary Poppins. As readers of this Blog will know, Mary Poppins is set in 1910 London and tells the magical adventures of Jane and Michael Banks and their practically-perfect-in-every-way nanny. News have been spread that production of a new Disney motion picture starring Tom Hanks and Emma Thompson, and entitled Saving Mr Banks, has begun. The film promises to be a must-see for any copyright lover, in that it tells the story of Walt Disney's twenty-year courting of Australian born writer PL Travers to secure the rights to her Mary Poppins children's novels. "Disney was the leader, his musical fantasies mixing animation and truly marvelous f/x with real-life action for children and the child in the adult. Mary Poppins ... was his plum. ... the story was elemental, even trite. But utmost sophistication (the chimney pot sequence crisply cut by Oscared "Cotton" Warburton) and high-level invention (a tea party on the ceiling, a staircase of black smoke to the city's top) characterized its handling." As explained in a New Yorker article, despite such warm reception, PL Travers thought that the film had done a strange kind of violence to her work and would have eclipsed everything else that she had or would achieve, turning her into a persona: a spinsterish children’s author, creator of a spinsterish character. 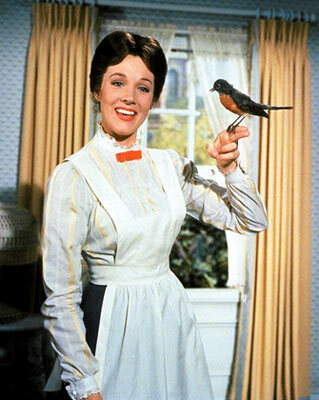 As reported by Wikipedia, in particular PL Travers disapproved of the dilution of the harsher aspects of Mary Poppins's character, felt ambivalent about the music, and hated the use of animation. At the première (which she had to ask to attend, since she had not been invited), the writer told Disney that the animated sequence had to go. Disney responded by walking away, saying as he did, "Pamela, the ship has sailed". Put it otherwise, PL Travers had to send the medicine down, with or without the famous spoonful of sugar. Appalled at Disney's adaptation, PL Travers prohibited any further cinematographic versions of the other Mary Poppins novels. In the 1990s she consented to the realisation of the Mary Poppins musical, but she did so upon condition that only English-born writers and nobody from the 1964 production were involved. 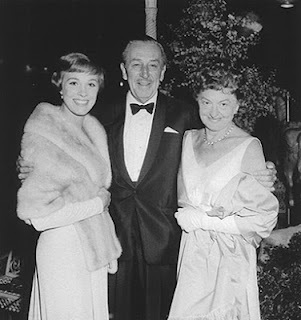 Being this the story behind the Disney film starring a more-than-perfect Julie Andrews as Mary Poppins, it will be interesting to see what perspective Saving Mr Banks will adopt in telling the story of Walt Disney and PL Travers. Maybe I have misunderstood, but the opening part of the post seems to imply there's a potential copyright battle brewing here. From the link in the posting, plus the synopsis and provisional cast list on IMDB, I don't think this film will feature much, if any, of the Mary Poppins story or the 1964 film - which Disney own the copyright of anyway, so I can't see where the derivative work might come into the issue. It seems to me to be more of a biopic about PL Travers and her dealings with Walt Disney, that is to say an original work (of fiction?). You're right - sorry for the misunderstanding, Andy. I didn't imply any potential copyright controversy ahead for Saving Mr Banks or Mary Poppins. I just wanted to bring to the attention of the Blog readers the fact that they are making a film about quite an interesting story (I think) which shows how difficult it can be to turn a series of books into a movie to the satisfaction of the author of the books, as well how long this process can take. Of course Saving Mr Banks will be an original Disney movie, but also a biopic showing problems which can appeal to copyright lawyers and certainly concern authors of (successful) novels. Arrived here after a google search on "Mary Poppins copyright". I'm trying to find out why my wife (a primary school teacher) has been told that her school production of the Mary Poppins story cannot use the title "Mary Poppins". Seems odd that they're allowed to do the story but not use the name. I'm told it's due to copyright, but that doesn't seem right to me. Any thoughts gratefully received.